This is a guest post for Amy Lyons at her spectacular blog, Fragrant Vanilla Cake. Amy also has a fantastic book out now, called Fragrant Vanilla Cake Sweet and Savory. Check it out … I’ll have a proper review soon! Kale is often called, “The World’s Healthiest Food,” and with good reason. It contains a remarkable amount of vitamins and minerals, including Vitamin K, which is crucial for bone and heart health. This is the %DV that Kale provides per cup. 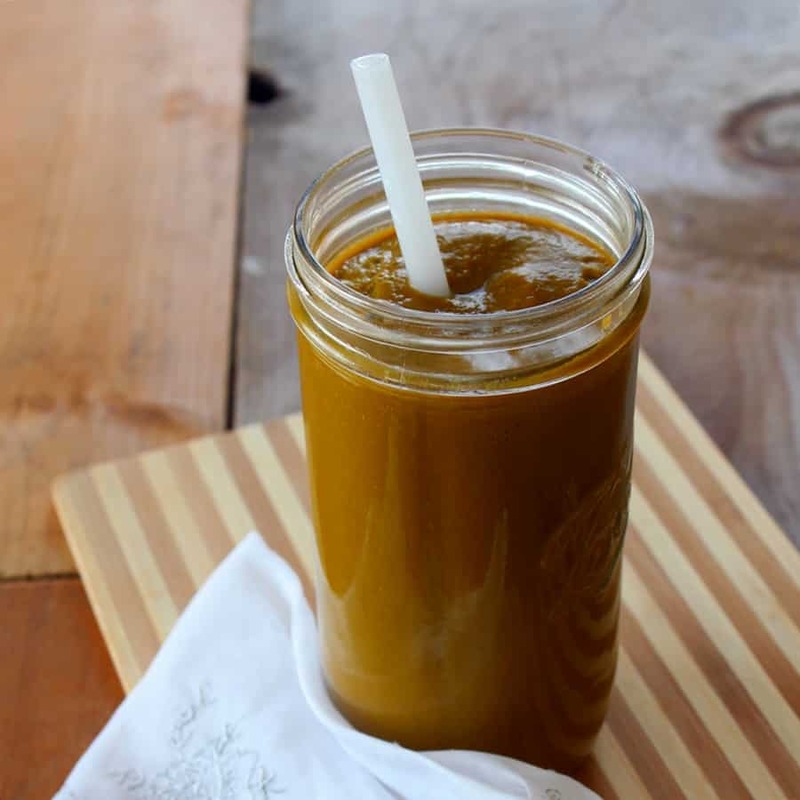 This smoothie is a nutritional powerhouse, but is also incredibly tasty and perfect for breakfast or an anytime snack. Place the kale leaves and water in a blender first and process until smooth. Add the remaining ingredients and process until smooth and creamy. 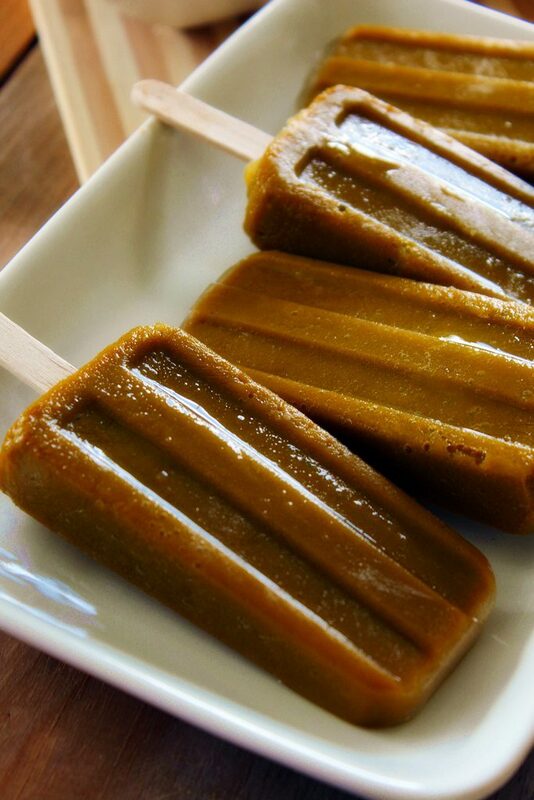 * Popsicle option … Like any smoothie mix, this can easily be made into popsicles … just pour into molds and freeze! Kale is also an amazing plant in the garden, is easy to grow, and beautiful, too. Start some now for a delicious Fall harvest! What’s YOUR favorite smoothie? And why?